Traditional Chinese medicine (TCM) is known for drawing connections between seemingly unrelated parts of the body. For example, TCM links the health of the skin to the health of both the lungs and the large intestine. These connections might seem weak at first glance, but we all know how much healthy diet and exercise habits affect our appearance. I often find that patients suffering from acne or other skin disorders notice significant improvements when they begin to clean up their diets and improve their lung health through an exercise routine. But even if you already have good foundational habits, there are likely some changes you can make that will have both internal and external benefits. This is thanks to the links that really do exist between these systems and the skin. 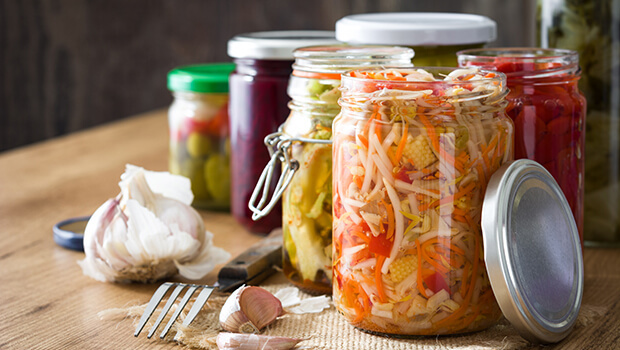 In particular, eating fermented foods can be great for both your gut and your skin, especially when you choose raw fermented foods made from cultured vegetables like cabbage. The fermentation process encourages the proliferation of probiotics and enzymes that help protect the gut and allow the body to flush out toxins rather than letting them leach through the intestinal wall. Eliminating these toxins properly helps keep them from affecting the skin, making it look dull and lifeless. An additional benefit of fermented foods is that they contribute to satiety. This can lead to weight loss and can help you avoid snacking on junk food, particularly sugary sweets. I’ve written before about the detrimental effects sugar can have on the skin, so anything that helps you cut back on sugar-laden foods is an automatic skin win. You can purchase fermented vegetables in grocery stores, but if you do, look for products that aren’t full of salt or other preservatives. You can also find recipes for making your own sauerkraut or kimchee online. It’s easier than you might think, and going the DIY route means that you’ll know exactly what’s in your fermented foods. Also consider looking beyond fermented vegetables and trying fermented dairy products as well, including yogurt and kefir. These products are good sources of probiotics too, so they’ll benefit your gut. And research recently published in the journal Foods indicates that they can also have beneficial effects on your cardiovascular system. A healthier cardiovascular system will increase your ability to exercise, creating a virtuous cycle that benefits the lungs and skin as well. While dairy products often get a bad rap, especially when it comes to the skin, full-fat and fermented products can provide important nutrients and have anti-inflammatory properties. 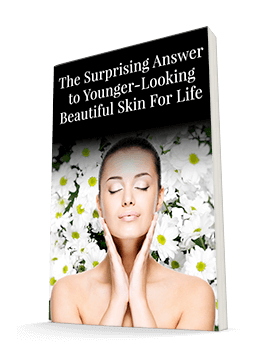 And you don’t need me to tell you that inflammation is a major enemy of smooth, glowing skin! The connections TCM makes are often surprising, but that’s exactly why they’re so fascinating. The many benefits of the traditional process of fermenting foods helps confirm that just because an idea is centuries old, like the ideas of TCM, doesn’t mean it isn’t of high value to us today. Add some yogurt or kimchee to your regular rotation and see for yourself how much the intestines, lungs, and skin really do work together in harmony.